A Considered Response to Swine Flu? "When will there be a mass outbreak of human/avian swine flu? 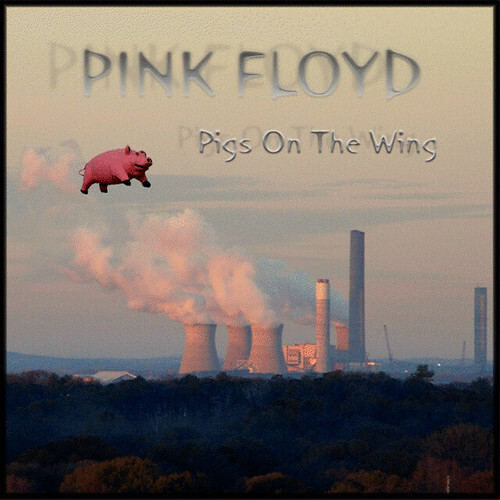 When pigs fly." "I think I have the swine flu. I'm coming out in rashers." "The only known cure for Swine Flu has been found to be the liberal application of oinkment." "Apparently my mate's got Swine Flu, I think he's just telling porkies, though." "How do you know you've got swine flu? The thermometer tells you you're bacon." "Did you hear that Mexico has become a world power? When it sneezes, the whole world gets the flu." "Two buddies are talking and one guy tells the other: "I’m worried my brother's got Swine Flu!" "Why dude?" the other guy asks. "I haven’t seen him since late Saturday night when he went home with a pig."" "I have the poor mans version of swine flu… Spam flu"
"I rang the Swine Flu Hotline but all I got was crackling." "Why did the pig jump off the tall building? Because he read in the news that Swine Flu!" "How can you tell if your wife might be getting swine flu? She starts hogging the bedsheets." "Apparently they are worried about a spamdemic of swine flu!!! They think it started as a snoutbreak". "I need to get tested for swine flu. I've not been to Mexico, but God knows I've slept with some pigs in my time." "I'm getting tired of all this swine flu news. It's just all a big boar." "If you develop swine flu, make sure you comply with lockdown or the government will send over the pigs." "If you have symptoms of swine flu, then immediately call a hambulance, and go to the hogspital for treatment. Smokers please note it is a non-smoking facility, so you won't be able to have a snout. This could be a false alarm, in which case you can trotter off home, but if the symptoms return, you may need to go to your local farmacy for some oinkment." But this one takes the cake!! Reuters, Tue May 5, 2009 3:32pm EDT. By Golnar Motevalli. KABUL (Reuters) - Afghanistan's only known pig has been locked in a room, away from visitors to Kabul zoo where it normally grazes beside deer and goats, because people are worried it could infect them with the virus popularly known as swine flu. "For now the pig is under quarantine, we built it a room because of swine influenza," Aziz Gul Saqib, director of Kabul Zoo, told Reuters. "We've done this because people are worried about getting the flu." Worldwide, more than 1,000 people have been infected with the virus, according to the World Health Organization, which also says 26 people have so far died from the strain. All but one of the deaths were in Mexico, the epicenter of the outbreak. The pig was a gift to the zoo from China, which itself quarantined some 70 Mexicans, 26 Canadians and four Americans in the past week, but later released them. Some visitors were not concerned about the fate of the pig and said locking it away was probably for the best. "Influenza is quite contagious and if it passes between people and animals then there's no need for the pig to be here," zoo visitor Farzana said. Shabby and rundown, Kabul Zoo is a far cry from zoos in the developed world, but has nevertheless come a long way since it suffered on the front line of Afghanistan's 1992-4 civil war. Mujahideen fighters then ate the deer and rabbits and shot dead the zoo's sole elephant. Shells shattered the aquarium. One fighter climbed into the lion enclosure but was immediately killed by Marjan, the zoo's most famous inhabitant. The man's brother returned the next day and lobbed a hand grenade at the lion leaving him toothless and blind. The zoo now holds two lions who replaced Marjan who died of old age in 2002 as well as endangered local leopards. In all, it houses 42 species of birds and mammals and 36 types of fish and attracts up to 10,000 visitors on weekends.